American yard Bering Yachts has announced it has signed a new contract for a 32 metre steel yacht. 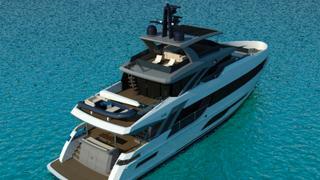 The new semi-custom Bering 106 will be built in Turkey and features exteriors that are “completely different from the rest of the Bering fleet,” according to the yard. 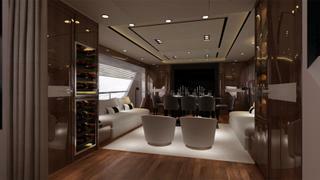 At the owners’ request, the master cabin is located on the upper deck, immediately after the captain’s cabin. The main deck also features living and dining areas with panoramic views. The island kitchen sits at the bow with access to the foredeck, which is equipped with a number of sun loungers and a Jacuzzi. The additional four guest cabins meanwhile sit on the lower deck, alongside a game room and two crew cabins. The flybridge meanwhile features a second control station and lounging area including a wet bar, chairs and settee. The news comes after the company revealed details of its 28 metre Bering 92 flagship in April.